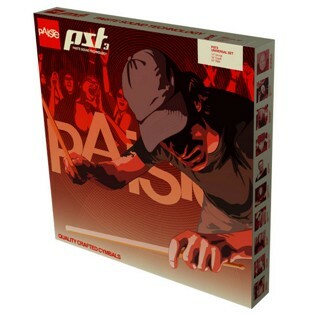 The Paiste PST 3 Universal Cymbal Set includes a pair of 14" hi-hats, 16" crash cymbal and 20" ride cymbal. PST 3 Cymbals are made of MS63 Brass. Paiste created affordable cymbals with never before realized sound quality and professional appearance. Draws on over half a century experience of creating real sound in affordable cymbals. Transfer the Swiss principles concerning shape, structure and sound to our modern German high-tech production. Strive for the successful realization of the hand manufacture achievements in our modern, technical production. Bright, clean, powerful with proper functional and musical characteristics.